Home Unlabelled What can procurement services do to prevent fraud? 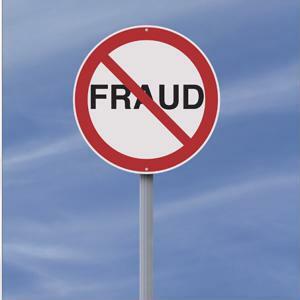 What can procurement services do to prevent fraud? Unfortunately, intimidation, bribery and fraud can plague the procurement process if assiduous surveillance isn't in place. At times, it's not uncommon for sourcing specialists to encounter instances in which a client was told that certain goods were manufactured with one type of material when in fact they were produced with another kind. Although there are laws protecting companies against such duplicitous behavior, it could take years for an international case to unfold. Between the investigation and the prosecution, the process is so arduous that some may deduce that engaging in such legal battles isn't worth it because there's no guarantee the end result will be favorable. While this situation is more consumer-focused, it's an example of how hidden procurement practices can breed falsehoods. Shanken News Daily acknowledged a lawsuit that accused Iowa's Templeton Rye of consumer fraud. The whiskey producer advertised its products as Iowa-made, when in fact it's sourcing its rye rom an Indiana distillery, MGP Ingredients. The lawsuit was filed by Ch​ristopher McNair of Chicago, who was a customer of Templeton Rye. He maintained that the company's advertising was intentionally misleading in order to get consumers to pay more for a beverage they believed was locally produced. Consumer concerns aside, fraud can be life-threatening in regard to infrastructure. Imagine a contractor agrees to procure four tons of 4-inch perforated sewer drainage pipes, when in fact the company receives 2.5-inch pipes. To the uninitiated, this isn't much of a big deal, but a well-seasoned waste management professional would recognize that a number of factors could cause the pipe to break under pressure. The Hindu Business Line noted a study conducted by Deloitte, which maintained that procurement fraud often occurs because expansive infrastructure projects depend on local third parties to acquire necessary materials on an ad-hoc basis. Why? Sometimes, blueprints change or unforeseen issues transpire that require additional materials. There are dozens of situations that could induce such reliance. What's wrong with small-scale operations that claim to be procurement experts? It's more difficult to validate their relationships. Depending on where they're operating out of, it may not be necessary for them to obtain accreditation from governing bodies. Also, it's important to point out that nearly 50 percent of survey respondents asserted they were tempted to use back channels, bribery and facilitation payments to expedite the procurement process. The best solution? Strategic sourcing. Centralizing every acquisition endeavor to ensure unfavorable practices aren't occurring is a practical solution to this persistent issue.